Associate Prof., Faculty of Law, University of Tehran 1970 to 2006, International Law Office 1979 to date. Extensive experience in Commercial Affairs and International Trade Law, International Commercial Contracts, Financing, Foreign Investment, Joint Venture Agreements, Oil & Gas, Mining and Telecommunication Projects. Various Articles published in the different Iranian and foreign law Journals. European Union Law, Nutshells by Mike Cuthbert Sweet & Maxwell, London 2000 with the cooperation of Dr. Parviz Parvizian and Dr. Vahid Eshtiagh. The International Law Office (ILO) renders legal services in the areas of international trade law, foreign investment, banking, finance, corporations, taxation, intellectual property, telecommunication, arbitration and litigation. Our strong litigation team is well-versed in disputes on debt collection, contracts of employment, international trade, shareholder agreements, business restructuring and other commercial cases. ILO presently employs fifteen lawyers and two paralegals, most of whom have an excellent command of the English language and have obtained law degrees from top universities in Iran and overseas. 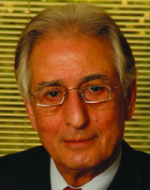 Dr. Behrooz Akhlaghi, the founder of the firm received his LL.B. from Law Faculty of Tehran University, Iran, and PhD from Aix-en-Provence Aix- Marseilles University, France. He has also followed some specialized courses in International Trade Law in Oxford Law Faculty in United Kingdom. He taught business law, international trade law, air law and other relevant subjects at the Law Faculty of Tehran University and other universities and is an attorney-at-law and having certificate from Iranian Central Bar Association. He has 35 years of experience in corporate law, international trade law and commercial affairs.